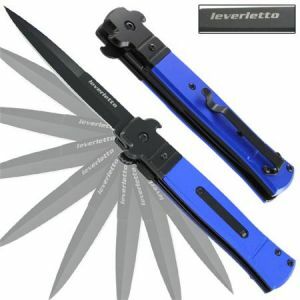 Leverletto style spring assisted opening knife. Steel and alumnium construction. Razor sharp 440 stainless steel blade with anodized black finish. Includes pocket clip. Overall Length: 9" Blade Length: 4"